This Passion Fruit Ice Cream was inspired on one of my favorite Brazilian desserts: passion fruit mousse. It is everything you need on a sunny summer day! 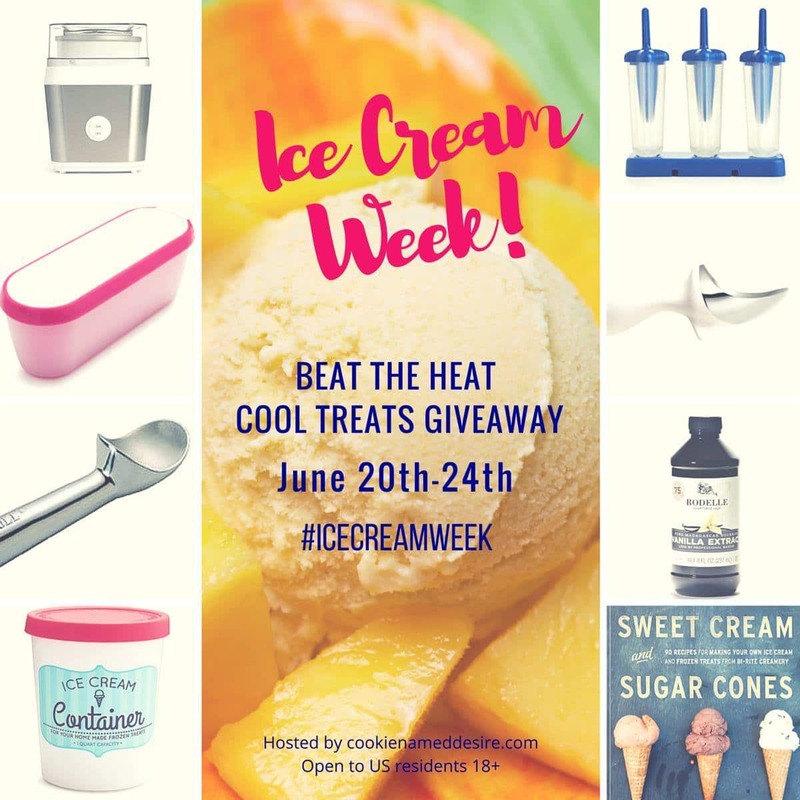 Here am I with another recipe for #IceCreamWeek! ??? I know I promised to post three recipes this week, but life happened and the last one is being pushed to next week. Please, please, forgive me! I promise it will be epic. Just like this one! If there is one dessert I’ll never say no to, it’s Passion Fruit Mousse, or Mousse de Maracujá in Portuguese. It is my dessert of choice every time I go to a Brazilian restaurant here in the U.S. and there’s always one in the fridge when I go home to Brazil. So Passion Fruit Ice Cream was an obvious option when I was brainstorming ice cream flavors to post on the blog this summer! The results don’t disappoint. It is like eating a frozen version of my beloved mousse! It is sweet, tart, creamy and oh so tropical! Now, one thing that is missing on my photos, is the optional sauce that I usually make from fresh passion fruit. However, I visited a few grocery stores and nobody had passion fruit. It’s not like they can blame it on being off season, because passion fruit is supposedly available all year round. But yet it is really rare to find one, at least where I live! Add that to the things I miss from Brazil: always having fresh passion fruit. Or mostly any fruit, really! They are always in season. If you, like me, cannot find passion fruit, the frozen pulp is just fine to make the ice cream. Goya is one of the brands that I usually find at my supermarket. If you’re lucky and can get your hands on the real deal, make the sauce. It is delicious and looks great with the seeds (which are edible!). Not to mention, rumor has it that after eating a passion fruit, you’ll fall in love with the next person your eyes fall upon! ??? To make the ice cream, whisk together the sweet condensed milk and the passion fruit juice. Reserve. Using a hand or stand mixer, whip the heavy cream until it holds stiff, billowy peaks, about 3 minutes. Turn the speed to low and add the passion fruit/sweet condensed milk mixture. Mix just until combined. In a saucepan, combine the passion fruit pulp, sugar and salt. Cook on medium low until it thickens slightly. Add the cornstarch dissolved in water and cook for a couple minutes longer, until thick. Remove from heat and let it cool to room temperature. Transfer to the fridge and chill for at least one hour before serving. It will keep in the fridge for up to a week. This ice cream is not overly sweet and on the tart side. If you'd like it sweeter, add an extra 1/2 can of sweet condensed milk. 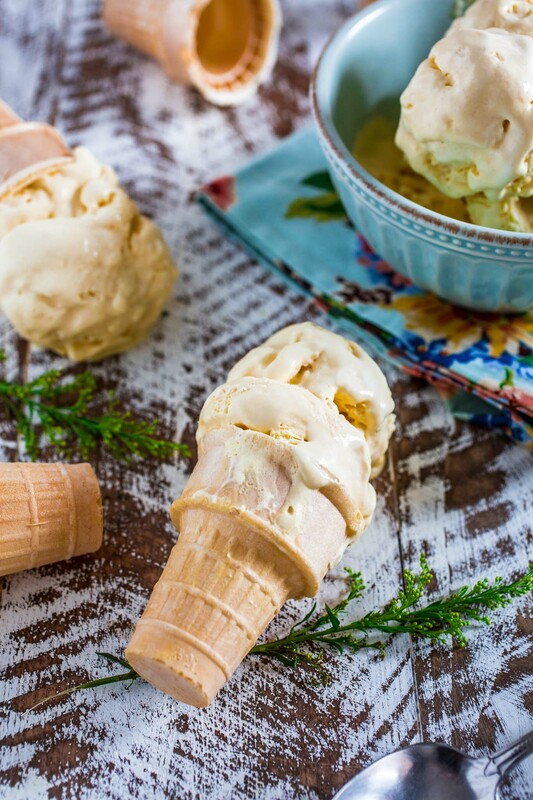 Don’t forget to check out these other delicious ice cream recipes from #IceCreamWeek! 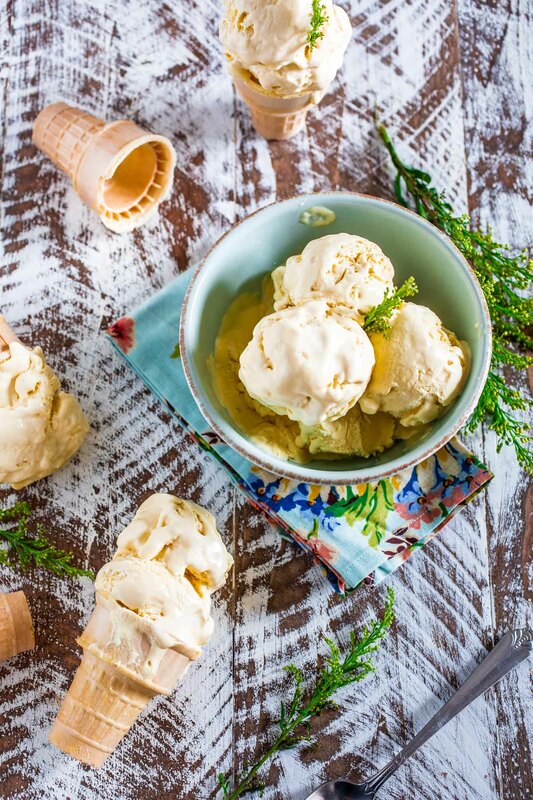 I have never had a passion fruit ice cream but your pictures are making me drool! I need to try this, save me a cone!! Isn’t passion fruit the best? I am a HUGE fan. 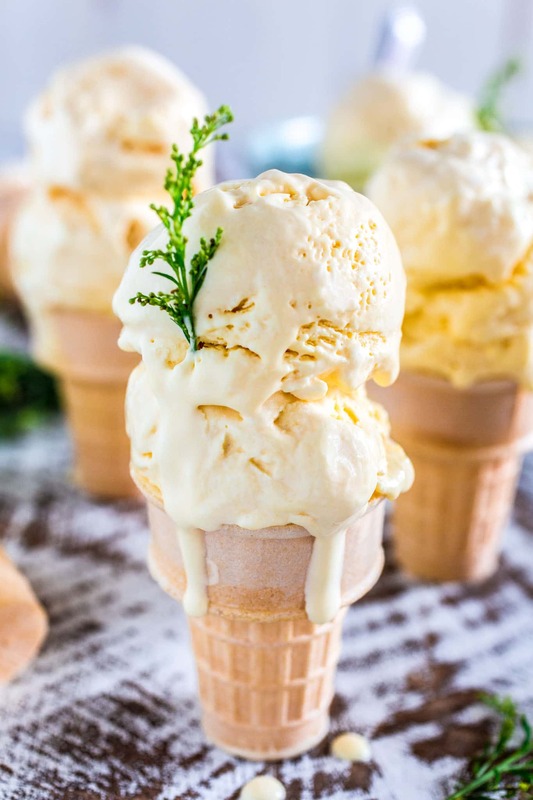 This looks wonderfully creamy and I want to lick those drips and sink into a cone pronto. Awesome pics! and I also Loooove passion fruit! I’m definetly try this recipe soon!! 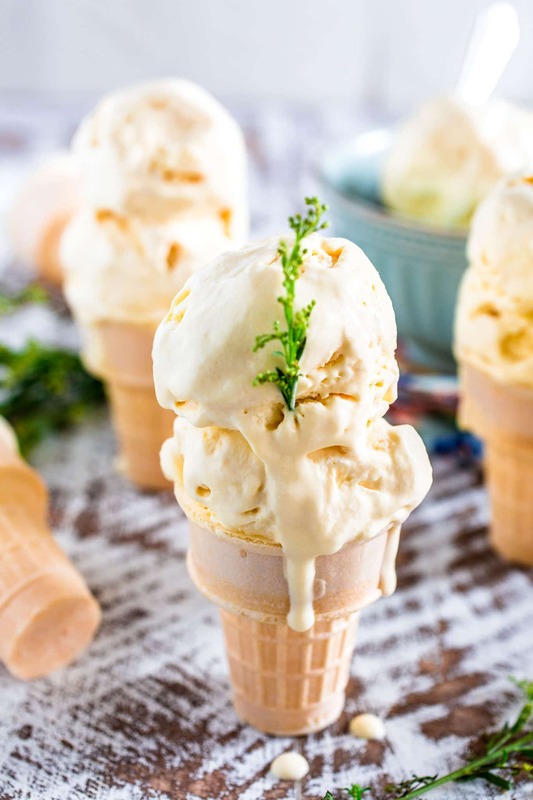 can you make this recipe with an ice cream maker machine? if so do you know how the procedure should be? Anyone have tried making the recipe with an ice cream maker? I love passion fruit, and had a huge vine when I lived in Australia. I just made this , it was so TART, we could hardly eat it, and I didn’t even add a so cub passion fruit as the recipe calls for. If I make it again, I will add a bit of sugar. I have an abundance of passion fruit in my yard. I juice them and give some to friends. Glad that there is an ice cream recipe for this. 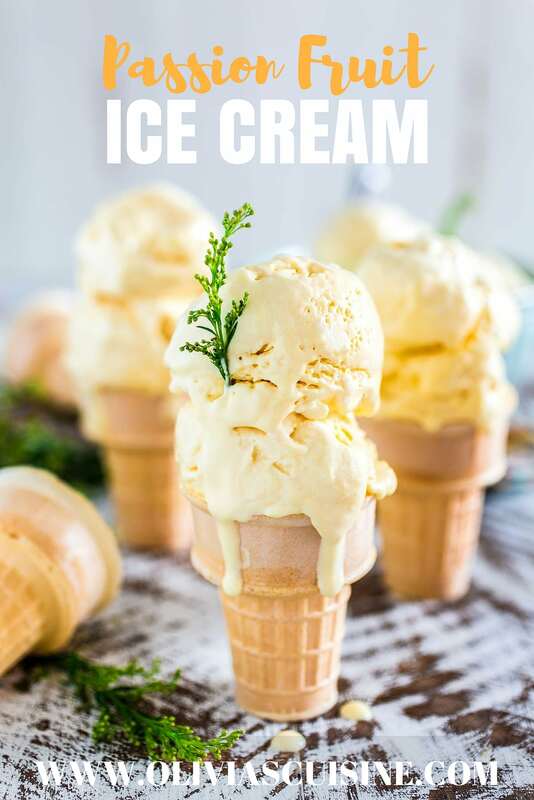 It is the best ice cream I have ever made better than my french vanilla ice cream! Making another batch today! Btw, used food processor for this. Easy!